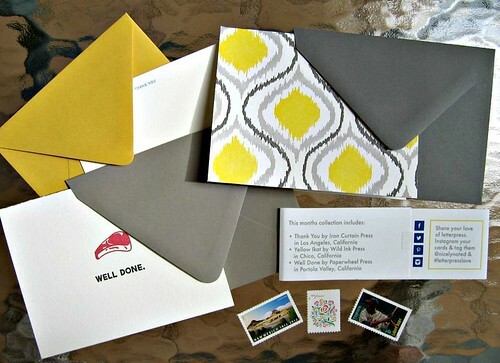 A few months ago I did a round up of greeting card subscription services that included Nicely Noted. Later, I was sent their most recent mailing so I could take a few photos of it as an example of what to expect if you were to subscribe. 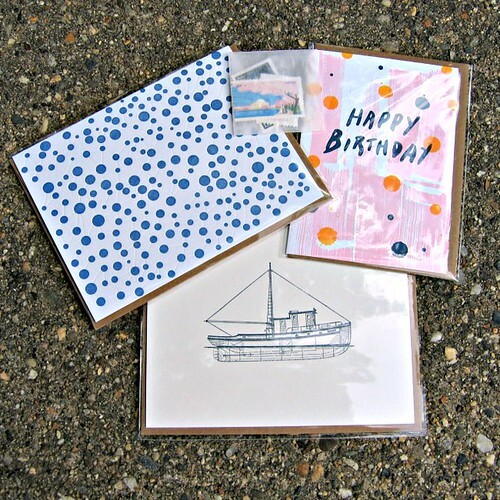 Each month the collection contains three high quality letterpress cards from small, independent print shops around the U.S. that are carefully curated by Nicely Noted's owner, Perry Nelson. 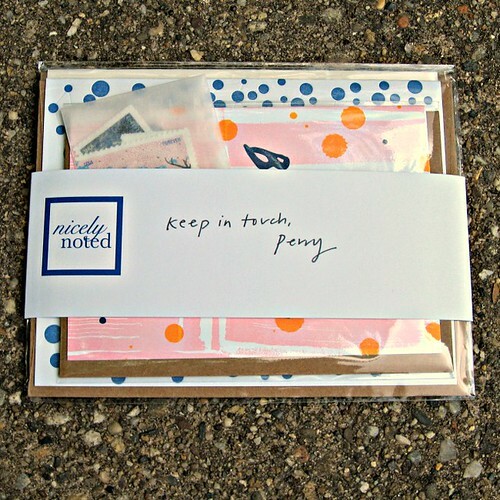 The unique card and envelope sets arrive packaged individually in cello sleeves within a mailing envelope. This month's grouping features a birthday card and two that could be used for Father's Day, to write a congratulatory note to a graduate, or just as thinking of you cards. Each collection comes with a little glassine envelope containing three color-coordinated first class stamps (if you are a U.S. subscriber) that make the cards even prettier to send and receive. Three handpicked cards cost $20/month, which might sound steep if you aren't familiar with the labor intensive process of letterpress printing. Also take into account the convenience of not needing to run out to purchase a card or stamp when a need arises. 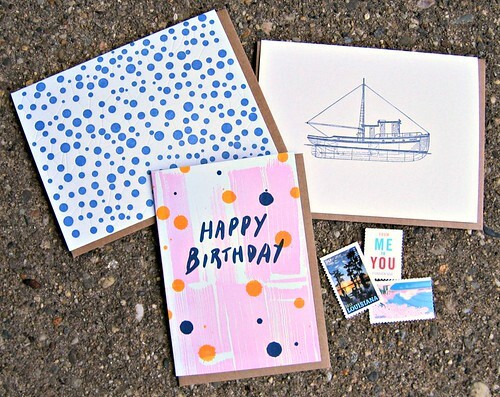 A subscription is a thoughtful gift too... heck, you might even help to revive the art of letter writing. A good thing indeed! Enjoy a visit to Nicely Noted. I'm glad you liked the cards, Meghan. Thanks for your comment. Thanks for sorting and sifting thru the papery goodness out there Ann! They have a beautiful selection of stationery. Thanks Cecelia, so glad you like it - me too.